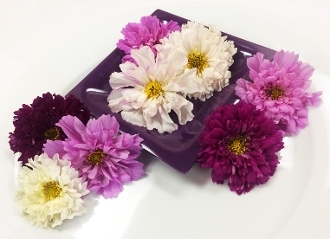 Colorful array of pink, purple & white tones; Frilly edges, double flowers; Add vibrance to your plating. Decorate cakes & salads. Mild flavor.